I used it again yesterday to shoot a nice open cluster situated in the constellation of Persus : The NGC 1528. This open cluster was discovered by William Herschel in 1790. It is located in the north-eastern part of the constellation, just under 3 degrees north of μ Persei. 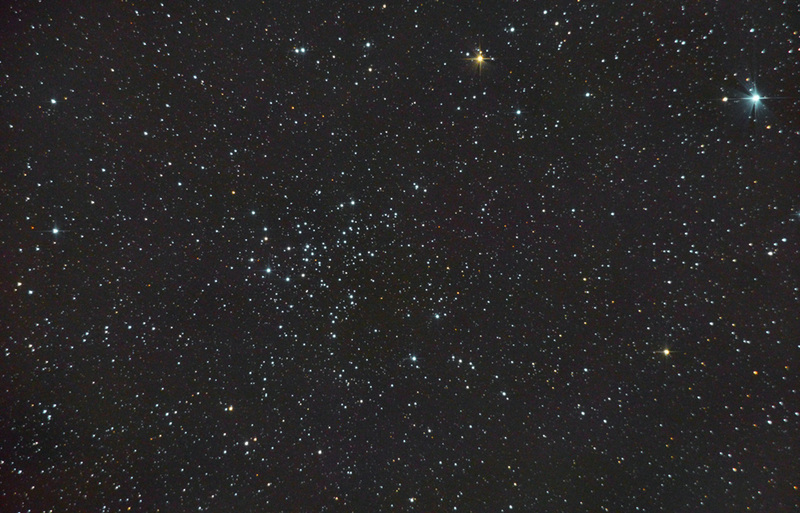 Less than 1.5° to the southeast is the open cluster NGC 1545 (m = 6.2). The NGC 1528 is clearly visible with 10×50 binoculars. 165 stars are recognised as members of NGC 1528, the brightest of which has apparent magnitude 8.7. Previous story How i shot 6 planets with a simple Webcam and a telescope?